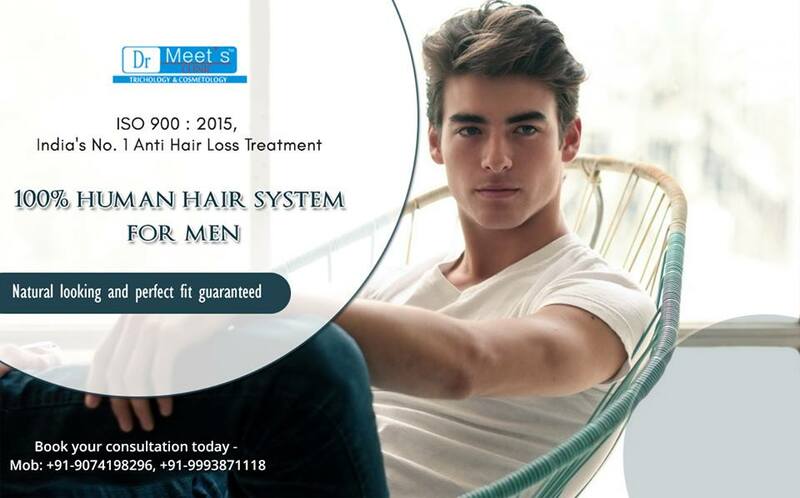 Home Posts Tagged "Hair Patch In Indore"
It is a sad reality of life that most of the males will at some point in their lives be affected by male pattern hair loss or androgenic alopecia as it is commonly called. It is a hereditary form of hair loss, inherited from one or both parents and if you are subject to getting it, there is hardly anything that you can do to avoid it. As it is very problem amongst males, many believe that it is just a natural part of the ageing process and give up themselves to the fact, that they can’t do anything about it. The first obvious sign of male pattern baldness is receding hair line, at the top of the forehead. The hair will start receding to the right and left of the center of the head. Eventually, in a few years, this will result in the formation of the typical U shaped hairline. Usually, after the starting of the recession of the hairline, and the time duration differs from person to person, a round bald patch will be formed on the top of the head. This will increase until eventually it meets with the receding hairline and creates a very common pattern, the “friar tuck” hairstyle. In a few cases, this too disappears, leaving the man fully bald. What can be done about male pattern hair loss? If the thought of losing your hair fills you with fear and is something you never want to face, then you must be careful and act immediately during the first signs of balding. 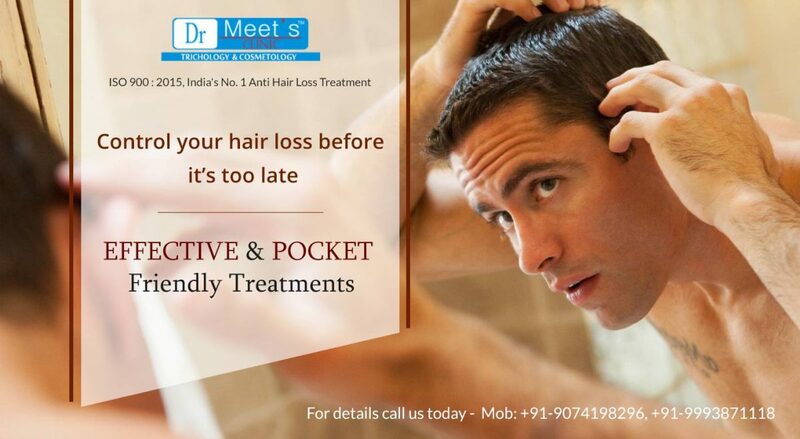 Without any delay, book an appointment with a trichologist. Trichologists are trained in the biology and disorders of the scalp and hair. During the consultation, the trichologist may ask you questions related to your diet and lifestyle, and health problems and medications. Also, he will ask you ask you about your family’s medical history. Depending on the condition and cause, he will give suggest you a customized treatment plan. A huge number of hair loss treatments are available; ranging from herbal remedies to medications and hair loss serums the list is long. Also, a number of surgical and non-surgical treatments are also available. Hair patch for men and hair weaving are two really popular and non-surgical options. A number of surgical treatments like hair replacement treatments and scalp flap surgery are also available. For hair patch for men in Indore, feel free to contact us.